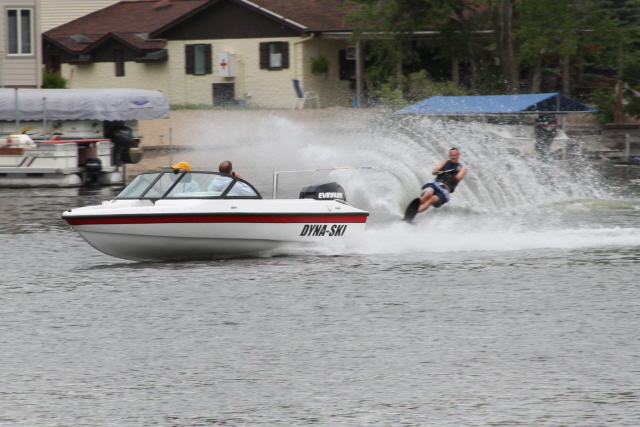 Lake North in South Bend, Nebraska is a hot bed for Dyna-Ski Boats. The 5th Dyna-Ski 17.6 will be headed to the lake shortly. That may not seem like a lot but I believe there are only about 40 ski boats on the lake. I should mention that this lake does have restrictions helping make the 17.6 Dyna-Ski the water ski boat of choice for this lake it seems. The ski boats on this small lake are limited to 135 hp and 18' (I think). This makes the 17.6 Open Bow Dyna-Ski perfect for skiers on the lake. The 17.6 with a 130 hp engine will pull everything from little kids on trainer skis to barefooting adults. 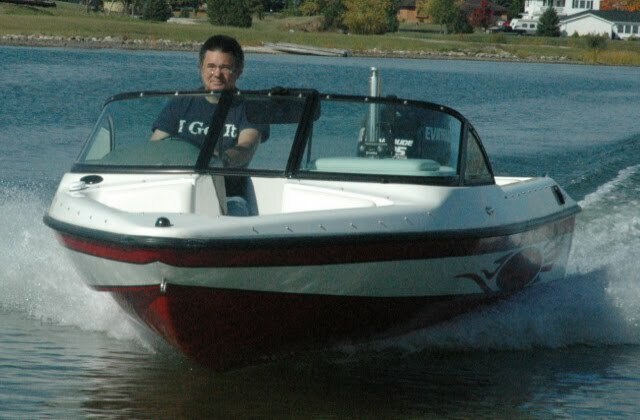 The small wake is ideal for smaller slalom skiers too. The modern outboards are quiet and easy on gas and oil. Four of the boats are Open Bows and one an older closed bow model. We did not build open bows when this boat was purchased. The owner/skier that bought the closed bow Dyna-Ski boat originally sold it to a neighbor and bought a new 17.6 Open Bow for 2011. I understand that there are also some older Hydrodynes on the lake but I don't know how many of them there are and what they are. The 5 Dyna-Ski boats all have 2 stroke motors including 3 Evinrude E-Tecs, 1 Mercury OptiMax and 1 older Yamaha which is on the 17.6 Closed Bow. Below is a picture of the first Dyna-Ski 17.6 Open Bow on the lake.